1. The entrance of the solid waste sorting plant is equipped with plate feeder with advanced features or step feeder and distribution device, which can guarantee the uniform distribution of garbage in the waste processing line, and to further ensure the follow-up treatment of garbage. 2. The waste recycling line is equipped with advanced bag breaking device which adopts jaw-type bag breaking method to open the garbage bags instantaneously and the bag breaking rate can reach up to over 90%, and has the characteristics of no winding and no hanging materials. When the large garbage items are stayed in, the device is equipped with a reversing device to remove the large items. 3. 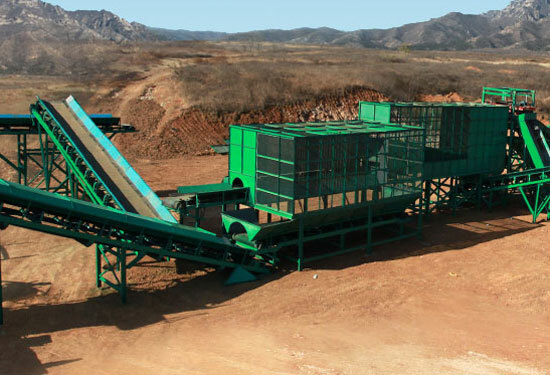 The large-scale waste management plant has installed crushing device, which can crush the hard objects, bulky items and other items in the garbage at the same time, and can not be wound or blocked. 4. The large-scale waste recycling plant for sale is equipped with energy-saving multi-functional wind selection device, specially for the selection of light materials in the garbage. 5. The waste processing line is also equipped with advanced screening equipment that can be used for screening different materials. These devices have changed the traditional screening methods, with clever ideas, good screening effect and other characteristics. The sieve can be replaced in time, to solve the shortcomings of the traditional sieve which can not be replaced. The screening effect is much better than the traditional sieve tube. 6. The conveyor used in the waste sorting line has the features of reasonable structure, beautiful appearance and durability. 7. The line is fully functional, with good sorting effect, high degree of automation as well as low processing cost. 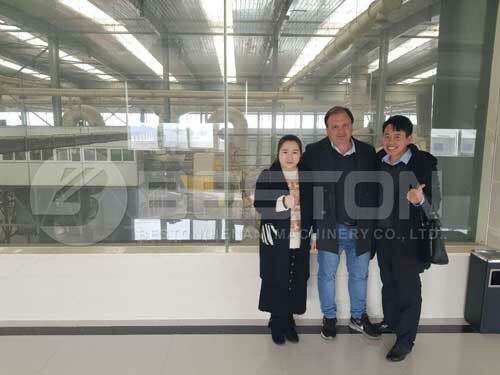 Beston Machinery has been in solid waste treatment industry for 15+ years, so we have possessed the richest experience and most advanced technology. Up to now, the environmental projects designed by Beston have been installed in many countries, including Korea, Jordan, Uzbekistan, Turkey, Indonesia, Dominica, Nigeria, etc. We never stop expanding our market, and we wish to establish a cleaner and brighter world for the next generation.